Hunter activity and harvest picked up in the third weekend of the general big game season in west-central Montana. Montana Fish, Wildlife & Parks (FWP) reports that after a slow start to the season, the Bonner check station is now showing 2,625 hunter trips and the Darby station is reporting 2,144, inching within 10 percent and 4 percent of hunter activity reported at this time last year. 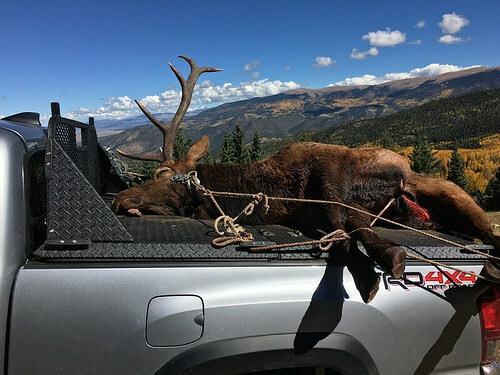 Elk harvests of 50 checked at Bonner and 95 at Darby remain below the marks of 63 and 112 at this time in 2017 but are higher than in 2016. FWP points out that this corresponds with the lack of any significant snow this year, like conditions at this point of the season in 2016. At this time last year, the Snotel site on Saddle Mountain (Bitterroot) had 26 inches of snow compared to five this year, and Copper Camp (Blackfoot) had 13 inches of snow last year, compared to just one currently. White-tailed deer harvest reported at Bonner increased to 138 over the weekend, but the total remains the lowest at Bonner for mid-season since 2014. White-tailed deer harvest at Darby climbed to 22, compared with 21 at this point last year. Mule deer harvests of 19 at Bonner and 14 at Darby are nearly identical to last year. Check stations only sample a small portion of hunter participation and harvests across the region, but they are an important part of monitoring trends and recording information on wildlife age, health and other observations from the field. At the Darby check station, students from Ms. Antonioli’s AP Environmental Science class at Hamilton High School are assisting this year by visiting with hunters, collecting data, and aging harvested animals through tooth wear and replacement. Hunters are reminded to stop at check stations even if you have not harvested an animal. The general rifle season for deer and elk runs through Sunday, Nov. 25.